The Promo page to claim your free Daydream View is now live. Go check it out and apply if you bought one. Just over a week ago, the LG V30 went on sale in South Korea, with LG saying that the phone would reach other regions in "days and weeks to come." Lo and behold, we now have some details on the V30's launch on all four major US carriers (and US Cellular), along with pricing and availability from AT&T and T-Mobile. LG's official press release states that the V30 (64GB) and V30+ (128GB) will be available for pre-order/purchase at AT&T, Sprint, T-Mobile, US Cellular, and Verizon within the next two weeks, but doesn't give much detailed information per carrier. However, it does mention that the V30 will bring with it a "Second Year Promise" program that extends the limited warranty by a year, likely to alleviate concerns about bootlooping, as well as a national promotion for a free Google Daydream View VR headset. Thus far, it appears that only two carriers have published their own PRs on the matter: AT&T and T-Mobile. The AT&T V30 will be available in-store on October 6th, and it'll cost $810 outright (or $27 per month over 30 months on AT&T Next). It also supports "5G Evolution," which isn't really 5G. AT&T is also offering a buy one, get one promotion in which you get a second V30 free via credits over 30 months if you open a new line and pay with Next. The LG V30 does it all on T-Mobile – and it’s all unlimited and freaky fast. Putting this beast of a superphone on a carrier network is like driving a Formula One racer on a dirt road. Why would you ever do that? Unleash the V30 on America’s best unlimited network! We haven't heard from the other three US carriers the V30 will be available on, but we'll be sure to update you guys on new information as we get it. ENGLEWOOD CLIFFS, N.J., Sept. 28, 2017 /PRNewswire/ -- LG Electronics' latest LG V30 and V30+ flagship smartphones, available in 64GB and 128GB versions respectively, will be available for pre-order and purchase at major carriers within the next two weeks, including AT&T, Sprint, T-Mobile, U.S. Cellular and Verizon. Availability, colors and pricing will vary by carrier. Continuing LG's commitment to quality and peace of mind, V30 users can take advantage of LG's Second Year Promise, which offers limited warranty coverage in year two at no additional cost. And with smartphone VR now coming into its own, the OLED FullVision display takes V30 users into new worlds via Daydream by Google. A national promotion with Google Daydream View will be rolling out soon.The new LG V series smartphone features an F1.6 aperture and a Crystal Clear glass lens, an OLED FullVision display, Cine Video mode for producing movie-quality videos, premium sound with advanced Hi-Fi Quad DAC and Voice Recognition. The V30 ushers in numerous smartphone innovations and is the pinnacle of LG performance, equipped to support the next generation of mobile networks. Peace of mind comes with every LG V30. 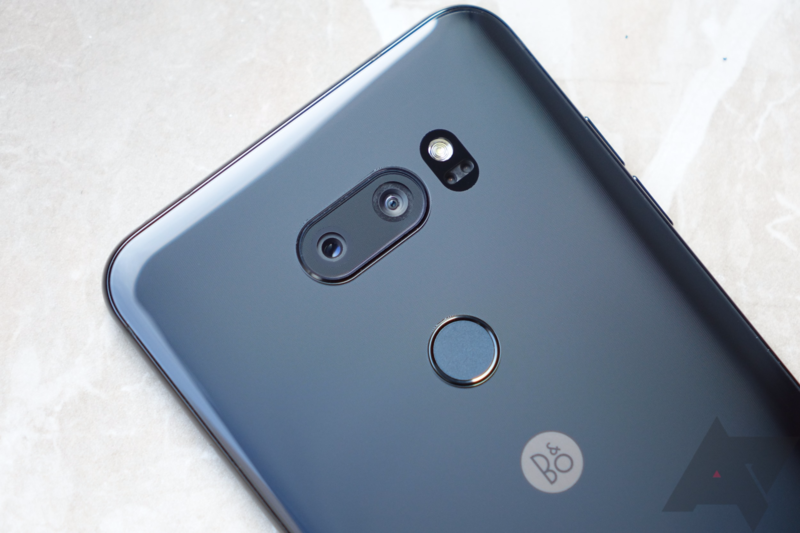 "We are so confident in the V30's quality, that in addition to the manufacturer's first year limited warranty, we are now offering free second year coverage upon registration," said Chang Ma, President, LG Electronics MobileComm U.S.A., Inc. "Plus, enjoy a service experience that gets you a replacement phone quickly. That's LG's promise to you. "As part of the LG V30 Second Year Promise program, LG is shifting the definition of 'quality' to one that includes not only device specs and build, but also the peace of mind consumers experience using them, particularly during long term ownership. As consumers are using their devices for an average of 18 to 24 months1, LG is driven to ensure a positive experience beyond initial ownership and into the longer life cycle of its devices. "We want our customers to feel peace of mind that should they encounter a problem, they can depend on LG," said Ma. Register to get a free second year of limited warranty coverage at LGV30Promise.com. The LG V30 builds on the strengths of the OLED FullVision display in a body that is compact, slim and light. The QHD+ (2880 x 1440) OLED FullVision display offers fast response time with minimal afterimages when viewing an action-packed movie or playing a game with quick movements. The V30 takes full advantage of this rapid response time with exceptional graphics delivered by the robust Qualcomm® Snapdragon™ 835 Mobile Platform to support Daydream, Google's platform for high quality, mobile VR. With Daydream, users can explore new worlds, enjoy personal VR cinema and play games that put them in the center of the action. As part of a national promotion with Daydream by Google, V30 owners can also receive a Daydream View headset and a Top VR Content Bundle3 to explore the possibilities of virtual reality. With five of the top Daydream games, this content bundle takes users on a journey through their imagination while leveraging the latest technology. The LG V30 is a leader in the era of smartphone videography. The main camera on the rear of the V30 features an F1.6 aperture and a Crystal Clear glass lens for improved light transmittance. The second lens in the V30 dual camera is an upgraded 13MP wide angle lens with two-thirds less edge distortion than in the V20. Using Cine Effect and Point Zoom features, LG's new Cine Video mode allows anyone to produce professional-like movies. Point Zoom allows users to zoom in on any subject smoothly, regardless of its position in the frame, and Cine Effect provides a palette of presets to give videos a unique movie-like look. Photo capturing is even more advanced with the new V30. Using Graphy in the camera's Manual Mode, users can select professional images from the Graphy website or mobile app and apply the same presets to photos taken with the V30. Equipped with a Hi-Fi Quad DAC, the V30 delivers a superior acoustic experience. Digital filters can be used to adjust the pre- and post-ringing of the impulse response of music with three filter options. Four pre-programmed presets mix and match sound frequencies and decibel scales to produce the audio quality of professional earphones. The V30 is the first global smartphone to support MQA (Master Quality Authenticated) technology that allows for the streaming of high-resolution audio. MQA captures the sound of the original studio master and folds it into a small file to make high-resolution audio easy to stream. The Google Assistant on the LG V30 features unique capabilities specific to the phone. For example, saying "Ok Google, take a wide-angle selfie" will launch the camera app with the setting on the front-facing camera wide angle mode. The V30 also features four advanced unlock options. With Face Recognition, the V30 can be unlocked using the front facing camera without pressing any buttons even when the phone's display is off. Voice Recognition uses a combination of the user's voice and user-defined keywords to unlock the V30. The reliable Fingerprint Sensor resides on the rear of the phone for fast, accurate security, and Knock Code allows tapping a pattern on the screen to unlock the V30. Enhanced EAS (Exchange Active Sync) – Enforces simple security policies, secure corporate data, and provides full wireless email and PIM sync. FIP 140-2 Validated – Adds Government-Grade Security Module for enhanced protection for government accounts that require the highest-level of security. The V30 is your perfect business travel companion, allowing employees to remotely and securely access corporate VPN so they won't miss a beat. With expanded mobile device management support, corporate IT managers can also control and protect data and configuration settings for LG devices with major MDM vendors. Lastly, with ThinkFree Viewer, a Microsoft® Office-compatible application suite, employees can check important work documents remotely. For more information on purchasing the V30 or V30+, please check with your carriers directly or visit http://www.lg.com/us/mobile-phones/v30. 2 Terms and conditions apply. See site for details. 3$40 value. Fulfillment of Google Top VR Content Bundle requires user's device to be set-up by 12/31/2017 and redemption completed by 1/15/2018. 4 Specification may vary depending on the particular market. LG Electronics MobileComm U.S.A. Inc, based in Englewood Cliffs, N.J., is the U.S. sales subsidiary of LG Electronics, Inc. a global innovator and trend leader in the global mobile communications industry. LG is driving the evolution of mobile forward with its highly competitive core technologies in the areas of display, battery and camera optics and strategic partnerships with noted industry leaders. LG's consumer-centric products -- including the flagship premium G Series models -- incorporate unique, ergonomic designs and intuitive UX features that enhance the user experience. The company remains committed to leading consumers into the era of convergence, maximizing inter-device connectivity between smartphones, tablets and a wide range of home and portable electronics products. For more information, please visit www.LG.com.